Modern updates + elegance await at this lovely rowhome in Brewerytown! Approach a quaint front porch ready for your personal touch and decorating! Enjoying conversing with the neighbors over your morning cup of coffee. Enter a warm living space ordained with dark laminate wood flooring throughout. 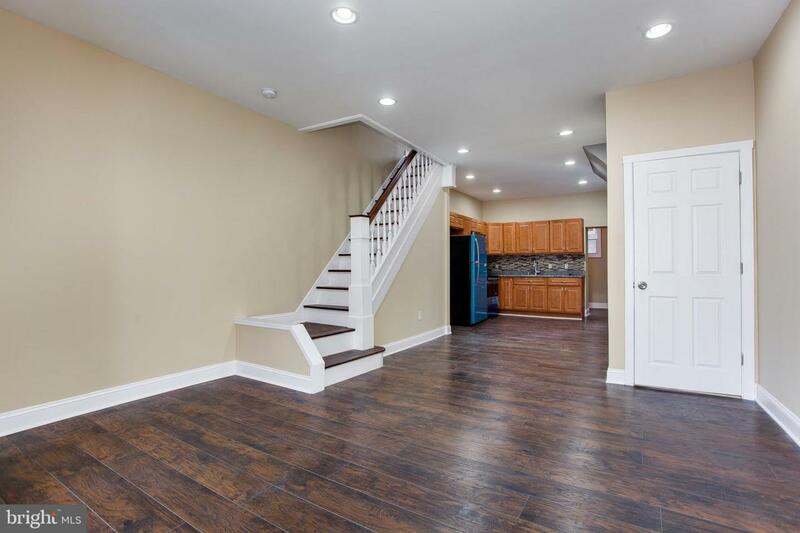 The newly laid flooring adds to the earthy and warm feeling that is spread throughout the home. Take notice of the recessed lighting that was recently installed. A powder room is conveniently located here in the first floor. Continue through to a quaint dining space which than leads directly into the updated, stylish kitchen. The kitchen has been upgraded with new wooden cabinetry, a tiled backsplash, and granite countertops to top it all off. A designated laundry room is also located here on the main floor of the home. Along the stairs refinished wood has been hand selected and laid down. Upstairs one will discover two personal sized bedrooms and an elegant front facing master bedroom with ample room for stretching out. The full hall bathroom compliments that modern charm that exists throughout this landing. Central air, and much, much, more await you at this gem! Conveniently located in Brewerytown near all the sights and sounds of Center City, West Philadelphia, and beyond ? make your move toward this special home!